Fatigue management also delivers business benefits in terms of your overall workforce management strategy, whether it is an expected function of the business or not. 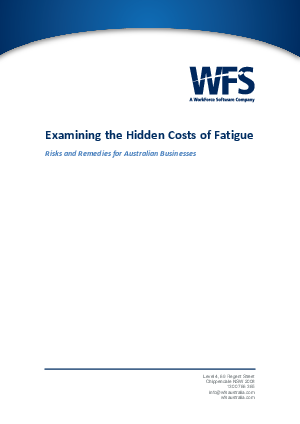 Mitigating fatigue risk can have a dramatic impact on your workforce and your bottom line. Proactively managing employee fatigue is a hallmark of leading businesses, as it demonstrates concern for your employees, customers and the larger community.